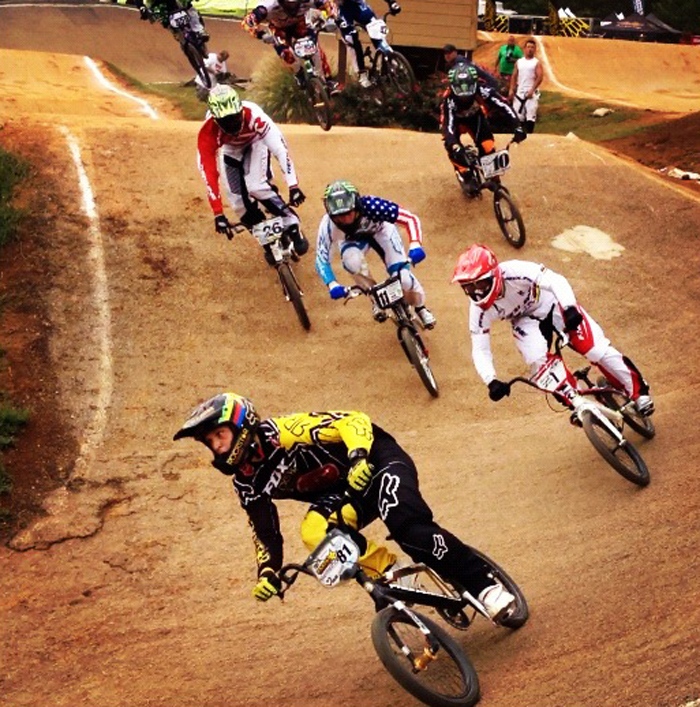 This past weekend, USA BMX, held the Bluegrass Nationals / Eastern Regional Championships at one of the best BMX tracks in the USA, the Louisville EP Tom Sayer Park. Home to the NBL Grand Nationals for many years, the history and great racing at this track alone had many excited to see USA BMX come here for the first time as a true USA BMX event. Coming off the Olympics, this was the first National event in the United States and to have the Gold & Silver Medalist, as well as Connor, a main event finalist, there was a lot of media attention to the USA BMX event. There was a press conference on the opening day, to also announce that there will be an indoor national event in Louisville early in the 2013 season. This event was a special 3 day event for the riders and meant the 27 Elite Pro riders in attendance would race it out 3 time for the fans and BMX Glory. Connor started things off with a stacked moto on day 1 and set the tone of his weekend, as he holeshotted and won the lap. Easily making his way into the main event on Day 1, Connor would battle with Sam Willoughby in the final, and finish 2nd, just behind him. On Day 2, it was once again a main event where Connor would meet up with Sam and both go for the win. 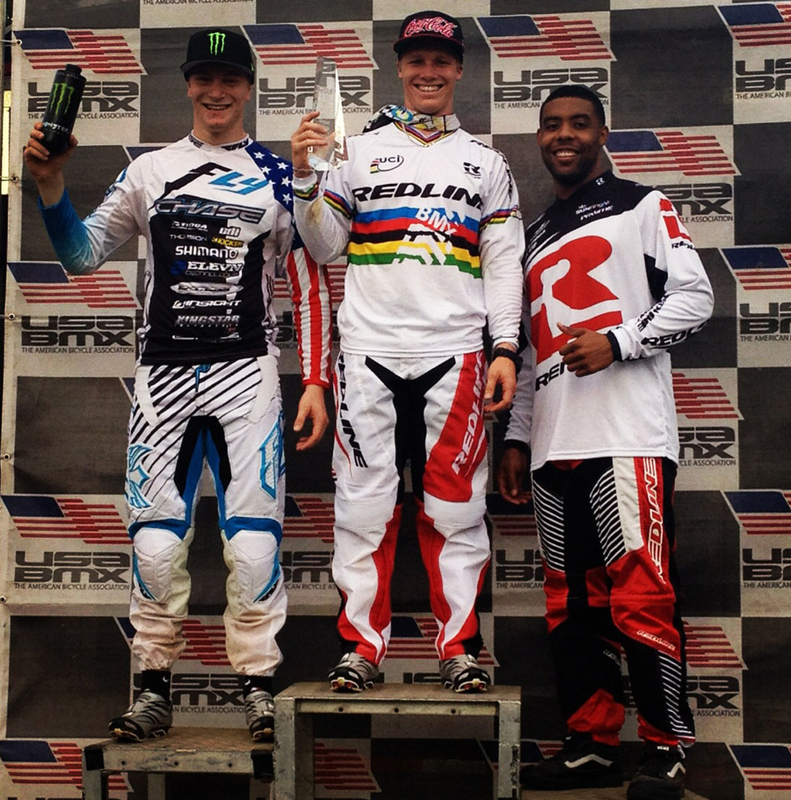 This time, throw in Donny Robinson between the two riders and Connor would finish up 3rd for the day. 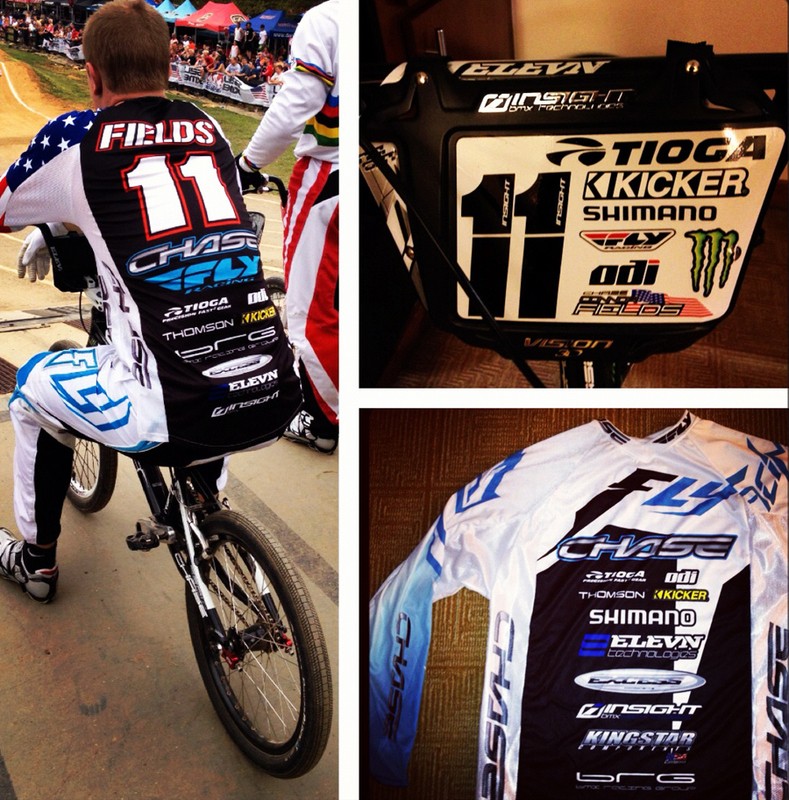 On Day 3, the Pros once again took to the track and dazzeled the fans with speed and power. Sam and Connor were going for the win again, but this time, the Olympic Gold Medalist, Maris Strombergs was in the main event and showed the fans how fast he is, with a holeshot and win. Connor would come in 3rd, wrapping up a great weekend for him, as well as gaining a lot of points for the year end USA BMX over Pro title chase.